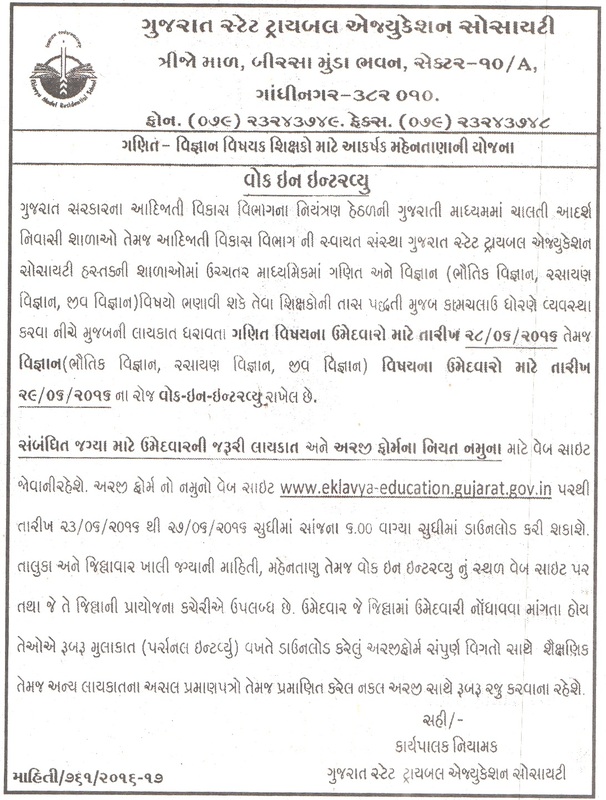 Gujarat State Tribal Education Society (GSTDREIS) has published a Advertisement for below mentioned Posts 2016. Other details like age limit, educational qualification, selection process, application fee and how to apply are given below. Educational Qualification : Graduation in relevant subjects with min. 55%, Post Graduation in relevant subject with min 55% and B.Ed/ M.Ed. with 55% and Computer knowledge is desirable. Candidates with Engineering degree and capable to teach relevant subjects can also register. Retired Teachers can also apply.